When your flying disc game calls for stable flight and precision, the Aerobie Superdisc ULTRA is the best choice! 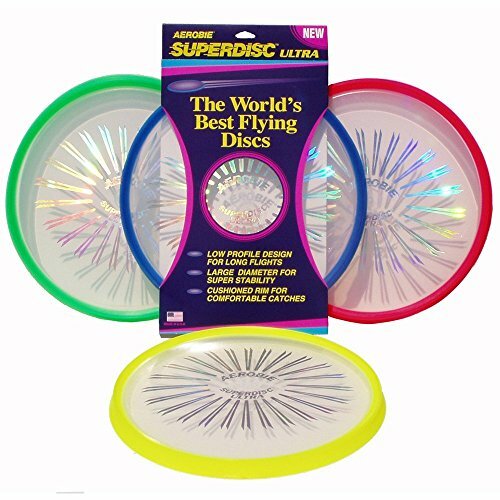 This flying disc features a spoiler rim for more accurate flights, a cushioned edge for excellent grip and a soft catch, and a wide 12-inch diameter for greater stability. Play it on the field, in the park, or at the beach – the Superdisc Ultra floats on water for easy retrieval. Available in assorted colors. Sold individually. Ages 10+.